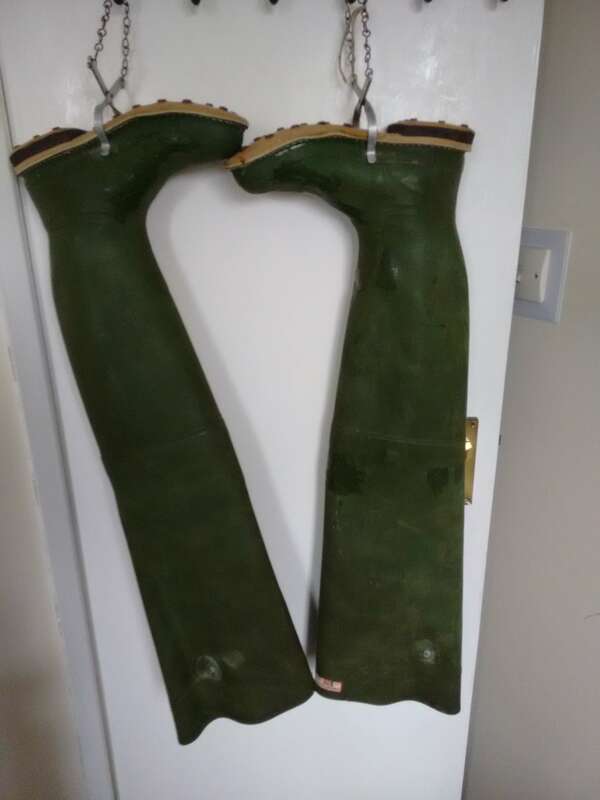 Size 10 studded thigh waders. Best make - Keenfisher. Not been worn 20 years but have been on proper hangers in dark area. NO guarantee leak free - but sealer kits easy available eBay about £8. Wallasey Village collection.